Special clinical interest in breast and gynaecological, sarcoma, palliative and lymphoma. Peter O’Brien is a radiation oncologist with more than 20 years’ experience in the treatment of cancer and research into improving treatment. He has a particular interest in the management of breast and gynaecological cancer, sarcoma and lymphoma and is actively involved with multi-disciplinary care for all of these tumour types. Peter has authored more than 60 scientific peer reviewed papers and book chapters and is a reviewer for a number of international journals. He collaborates in current clinical trials and for many years was the Scientific Advisor for the Trans Tasman Radiation Oncology Group receiving the “Outstanding Contribution Award” for his efforts in research. 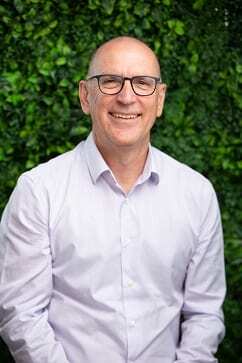 More recently he was appointed to the local therapies group of the Australian and New Zealand Breast Cancer Trials Group and has been an invited speaker at a number of national and international scientific forums. Training and teaching have formed an important part of his professional role and he has been an examiner for the Faculty of Radiation Oncology (RANZCR) and a Board Member. Quality Assurance in daily practice and clinical trials has become an increasing area of interest particularly with increasing complexity in radiation oncology.